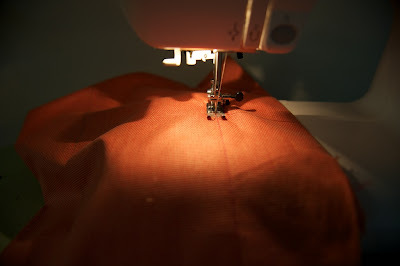 Okay my beginner sewers, or those of you who just don't sew often, this is a GREAT project for you. 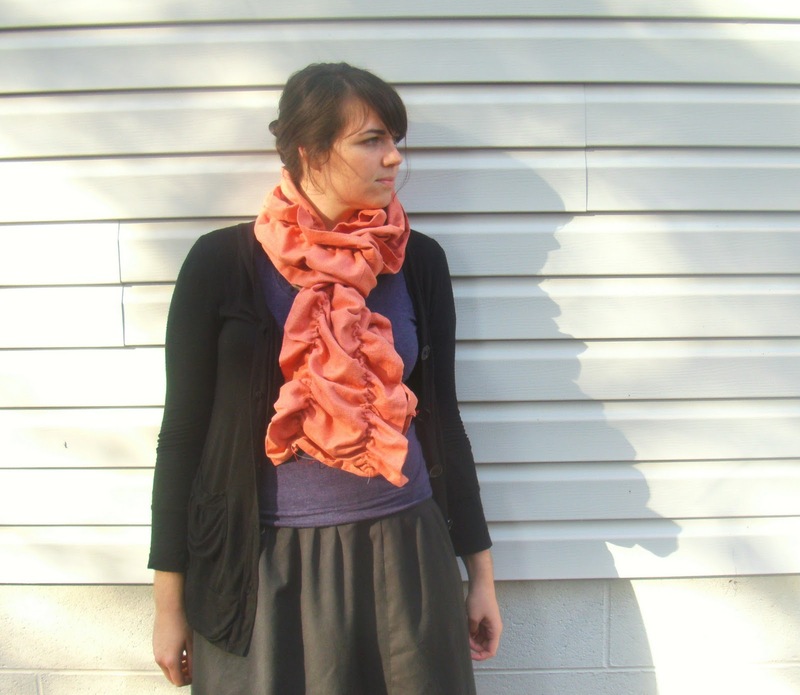 You can make one for yourself or this would make an excellent Holiday gift. My good friend Laura (the photographer) was visiting this weekend and we made this scarf together. 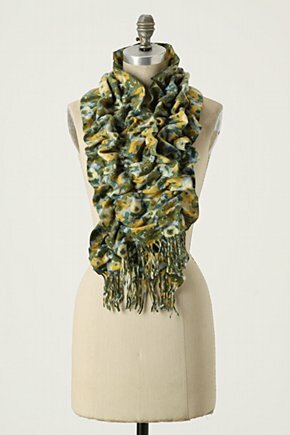 This Anthropologie Scarf was our inspiration. Wouldn't you like to make one too? Elastic Thread - don't be scared of this it is EASY to use!! (usually they fold it like that when they cut it at the store). Using a pair of fabric scissors, split the fabric along the fold. 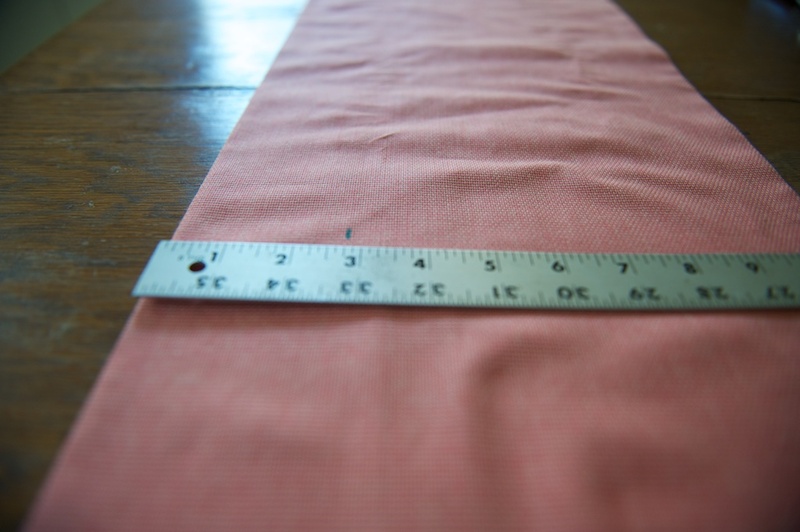 You will have two pieces of fabric about 22" x 54". 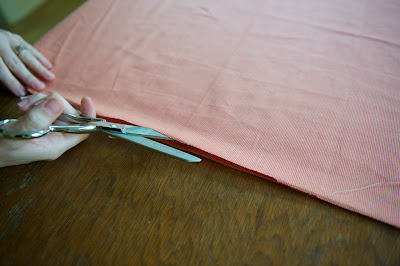 Step 2: Sew these two pieces end to end, so that you have one really long piece 22" x 108". fold this piece in half and pin along the edge - it will now be 11" x 108". Step 4: Sew a 1/2" seam along the top 11" edge, and the 108" inch side - leave the bottom open. Step 5: Flip the scarf right side out and press it. 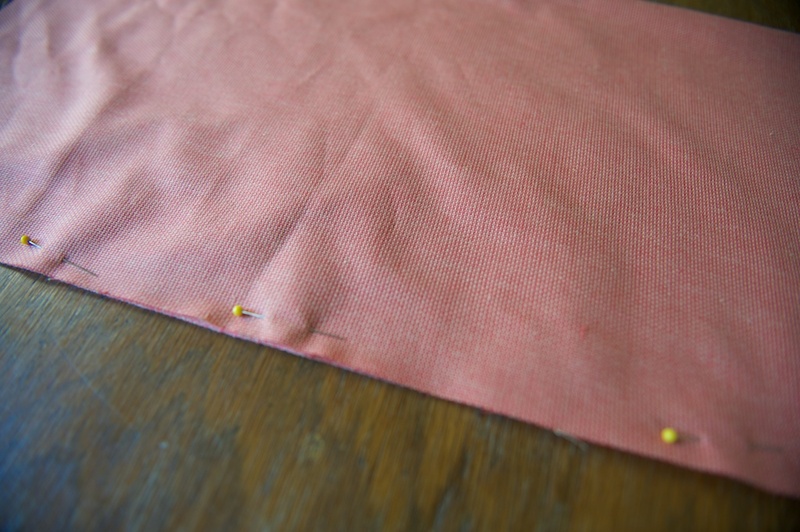 Step 6: When you get to the bottom edge, fold the raw edges inside, press, and top stitch it closed. 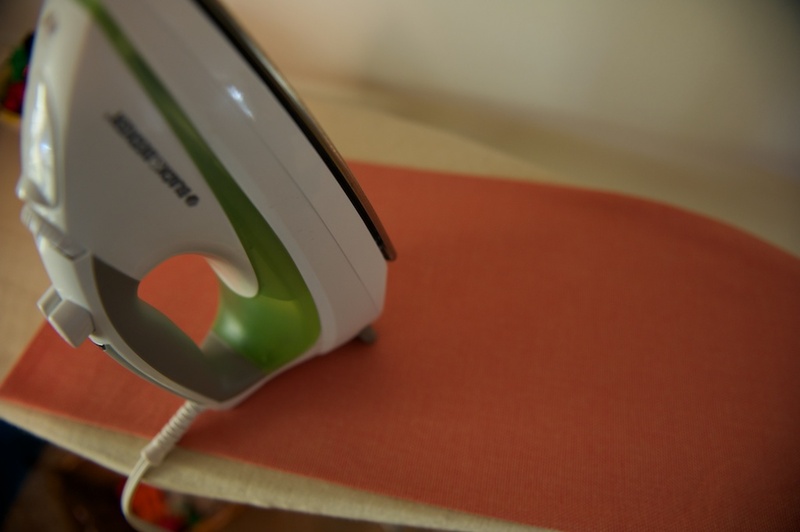 Step 7: Draw two lines with the water-soluble fabric pen. 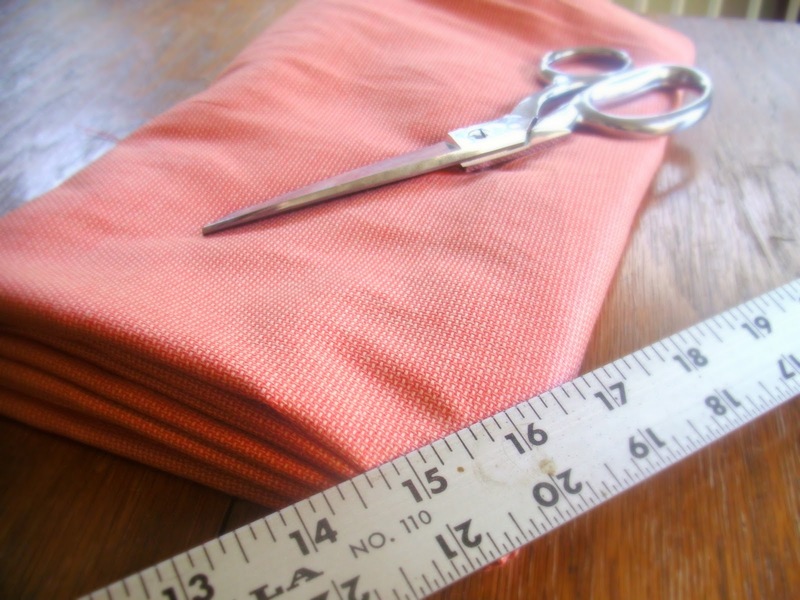 so you will measure 2 3/4" inches in from each edge. 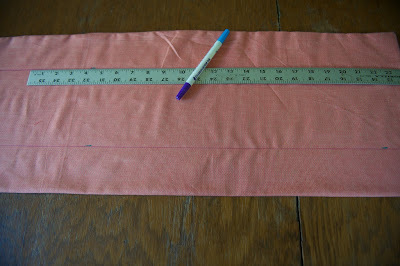 Mark your measurements then connect them with a straight line. 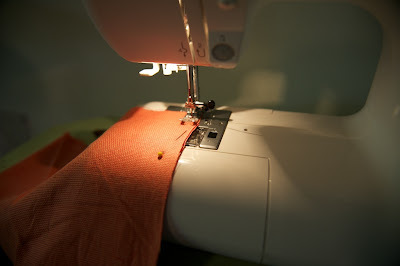 Step 8: Using your machine, put the elastic thread onto the bobbin. Don't be afraid of this - it will wind around the bobbin as usual. Put it in your machine, then thread your machine with regular thread that matches your fabric. 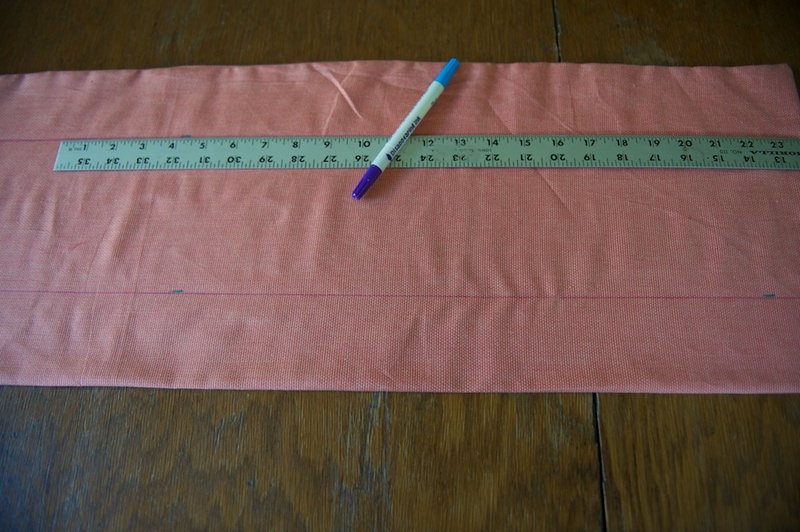 Step 9: Sew along the two straight lines that you drew. The elastic bobbin thread will gather the fabric as you go. Step 10: To make the elastic thread shrink (making it more gathered) spritz the two seams with water. 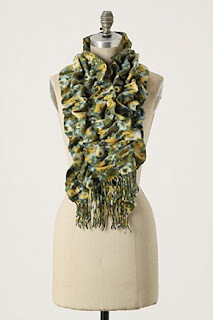 Toss it in your dryer for about 5 minutes - the elastic will shrink up a bit and you will have a beautiful ruffled scarf! You will be happy - like Laura. Isn't she a lovely model? 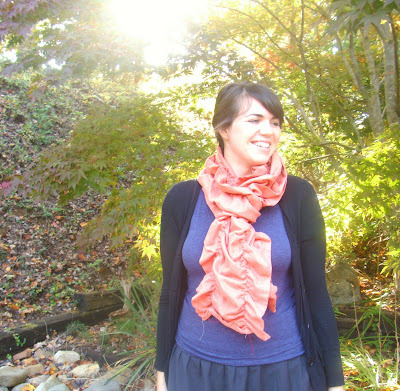 Thanks for making a scarf with me Laura - and for taking some great pics for this tutorial! If you are working on one of my projects and get stuck, leave a comment or send me an email - I am happy to help you with any troubleshooting! Hey! We're Jessica and Ryan. We've lived around the world, and now own Starry Fields Farm in Kentucky. 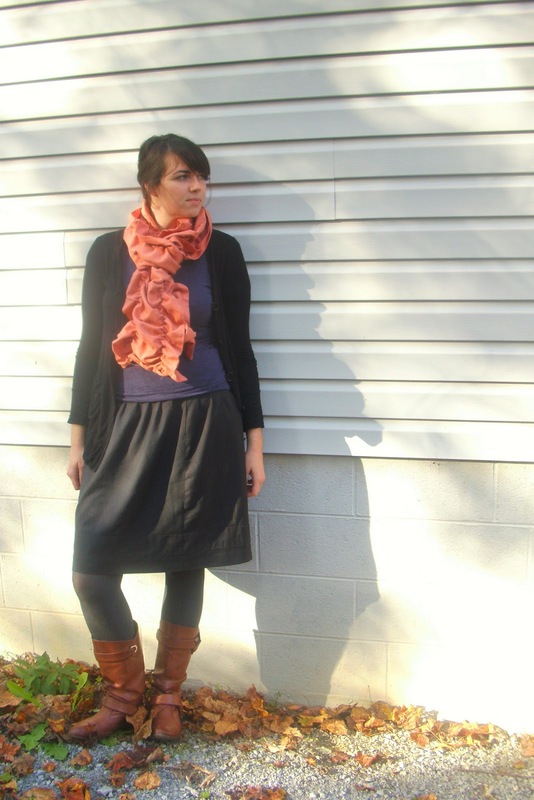 We hope you'll be inspired by our family's life here - remodeling, farming, sewing, and much more!